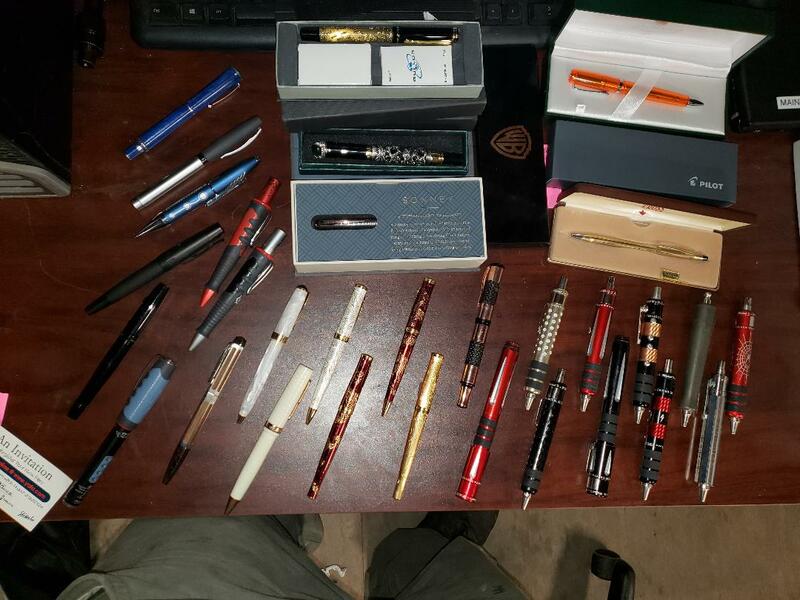 34 Pens in total. 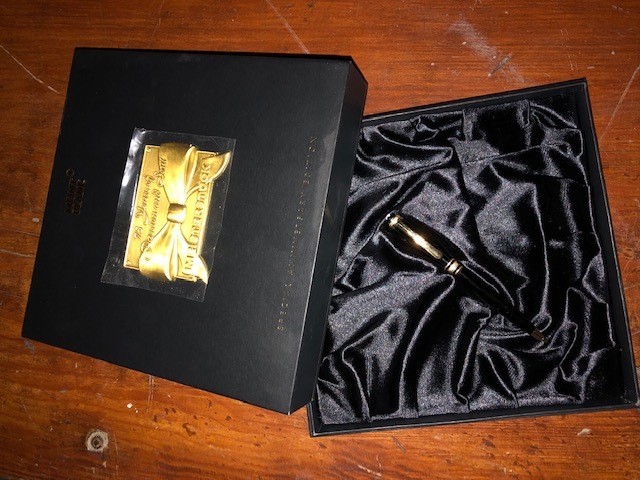 Some of the known higher dollar ones are Monteverde Regatta Sport Rose Gold fountain, Fat Boy Tesla Coil (two of them), Gettyburg and Gettysburg Cannon, Cross Special Edition Year of the dragon, goat, horse, multiple, Delta Papillon Resin Blue Fountain Pen (DV80154), The Black Widow, etc... I am more than willing to take them to someone who can better judge them if needed. I can also get more pictures if needed. - it was bought to be a gift, but it was not the case anymore and it was left unused. Brand New never used... I was given this pen from my place of employment of 10 years. We always thought the designer of the Mont Blanc Starwalker Mystery Black pen must have loved "Donkey Kong" or "Pitfall," as a kid playing the Atari. Part of the design includes what look to us like the little ladders in the video games. With platinum trim, this preowned luxury pen is still very attractive. We include a new refill but NOT the macro filters for a camera also seen holding up the cap in the photo. There are a few thin scratches on the platinum trim, but otherwise this pen looks great. Guaranteed authentic with its serial number and "Pix" under the clip. Clip is on tightly. 14cm capped. 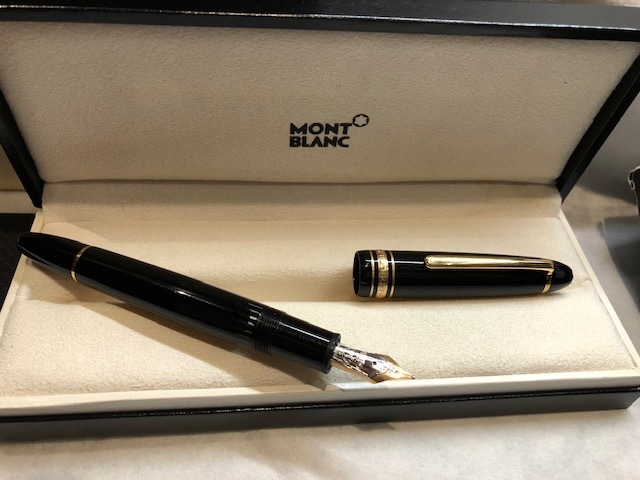 Pre-Owned Pens: Mont Blanc Limited Edition Honoré de Balzac Ballpoint Pen. 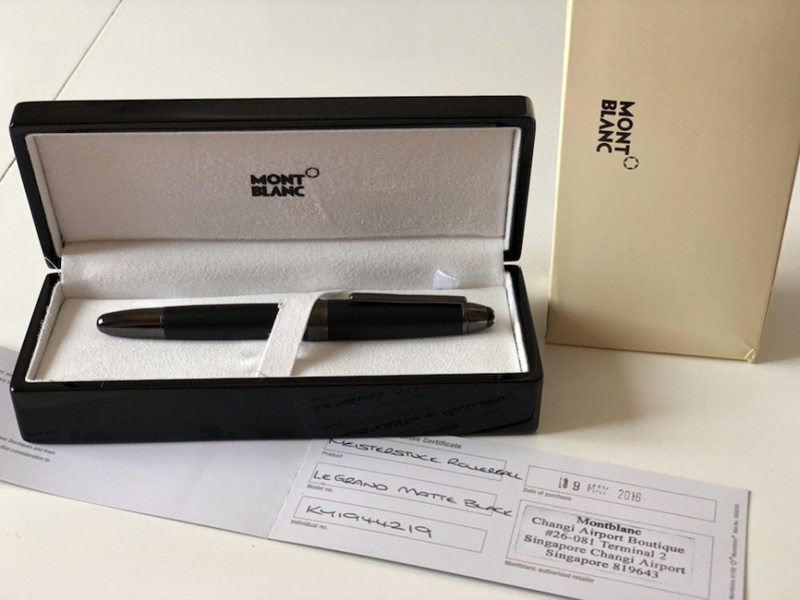 This is a Mont Blanc Limited Edition Honoré de Balzac Ballpoint Pen. Photo taken outside box but has never been used. 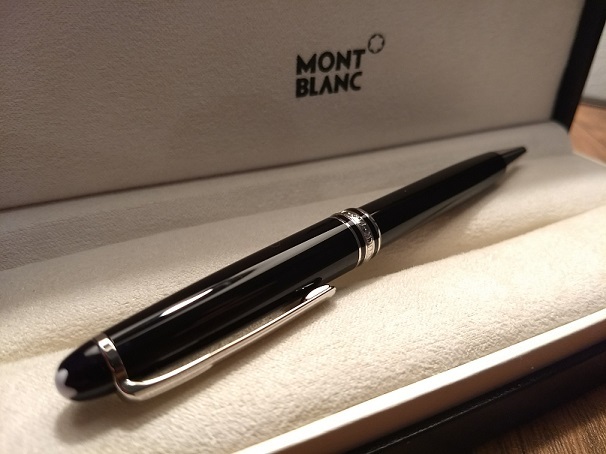 New Mont Blanc Platinum Classique Ball-Point Pen. Was given to me as a gift, but I've never carried it and only used it to write the thank-you note to the giver. Has been in the case since. Includes original black case.